This year our local farmers market added a fresh fish vendor. 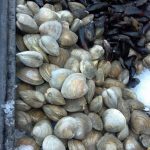 Pura Vida Fisheries, located on Long Island, makes the five hour (plus or minus) trip to our market EVERY Saturday. Yay! 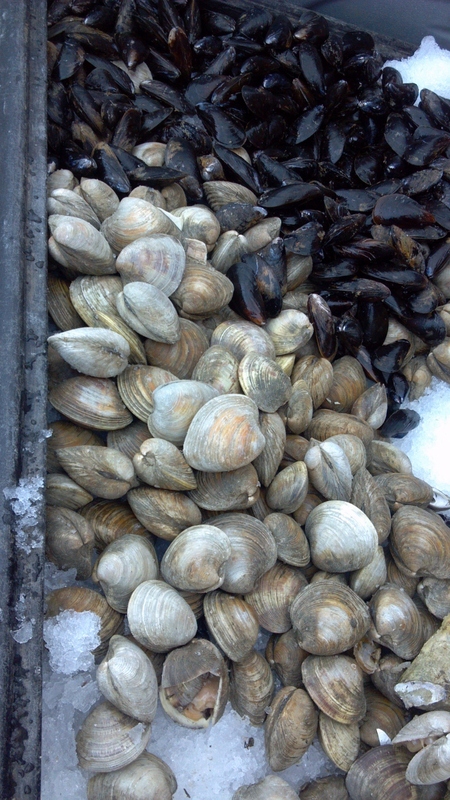 This month I’ve picked up oysters, mussels, scallops, cod and striped bass. Next time I think I’ll pick up some swordfish. Mark has been enjoying the oysters. 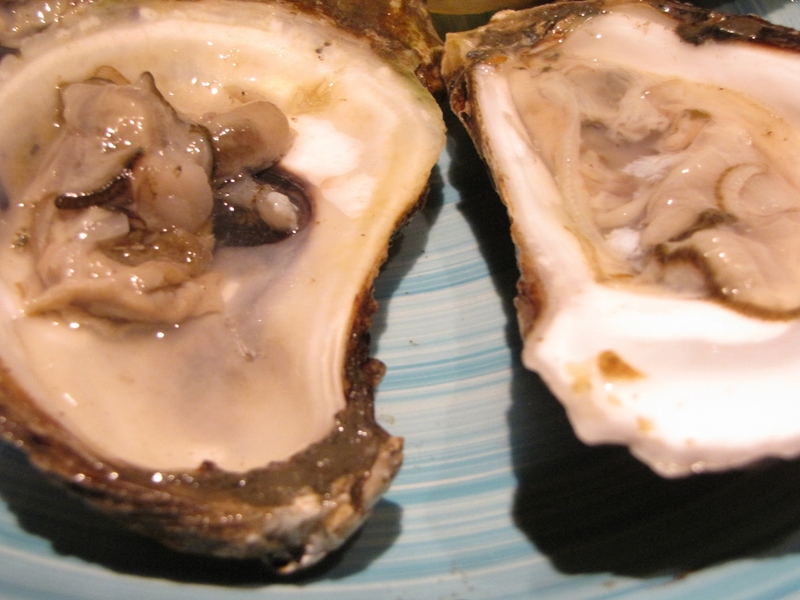 Nothing is better than a FRESH oyster. Here’s a simple fish dish that will work with most white fish. In this case I used striped bass. In a saucepan, combine a tablespoon or two of butter with 1/4 c. white wine, a good squeeze of fresh lemon, salt and pepper. In a heavy skillet, heat oil until very hot. 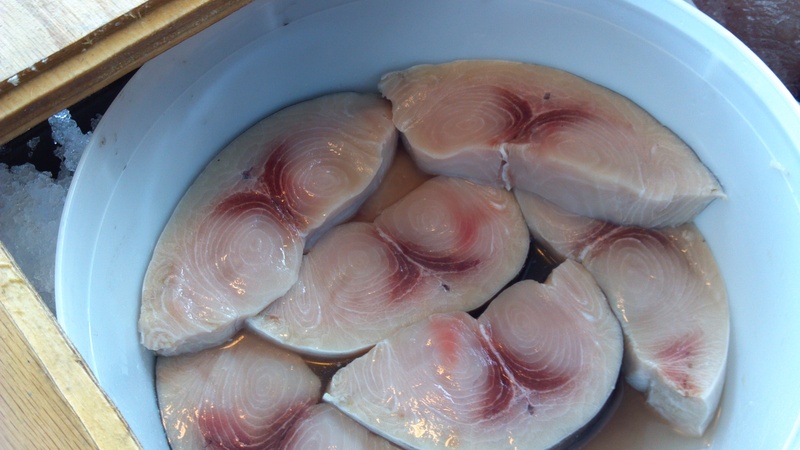 Place fillets skin side down and cook for 3-4 minutes. Carefully flip. In the meantime, make the sauce in another saucepan. 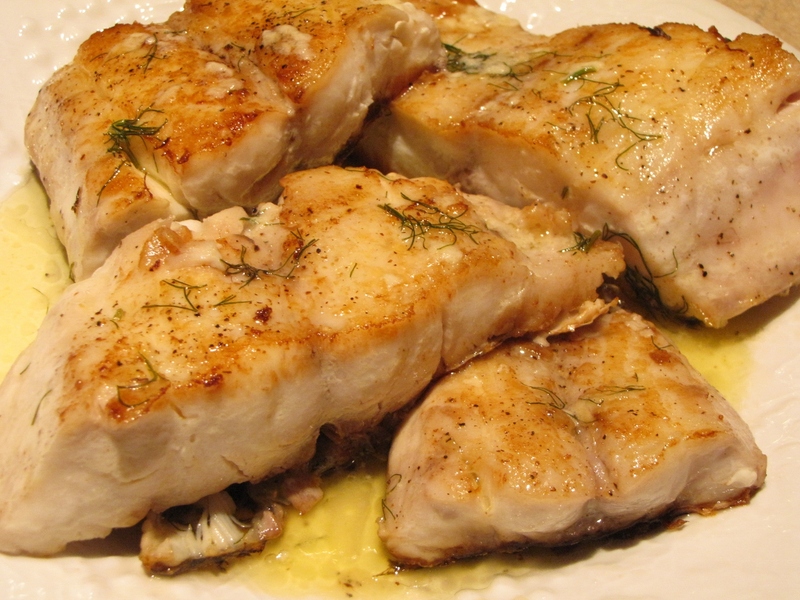 When the fish is good and brown and the fish is cooked (it will be opaque), place on a plate, spoon sauce over the fish and garnish with the dill or fennel. Their scallops are ridiculously good too.